Over the years I’ve discovered that what my students need most is to be heard, directed, and encouraged, or simply supported around believing in themselves. When I first work with competitive students (whether they’re aspiring to BVSSL Finals, needing to drop 12 seconds for the State High School Championship meet, seeking to take off time for an Ironman distance, or a runner turned pro triathlete needing to improve his or her swim time), I start out the same way. I assess their starting point on a physical, mental, and emotional level and look for any weaknesses that can be converted into strengths. I also recognize when additional professionals need to be brought in for things like nutritional counseling, physical therapy, personal training, or life coaching. My ability to see the whole picture is my cornerstone as a coach. 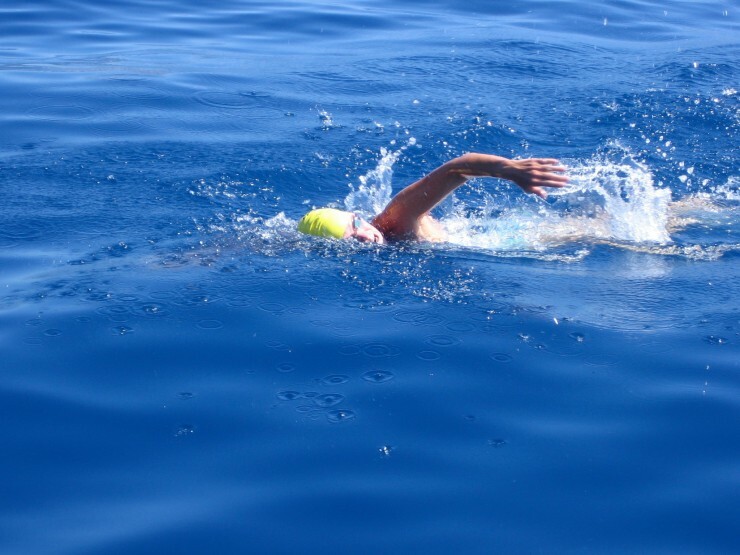 Also, I am skilled with creating workouts for the swim portion of the triathlon and for swimming goals related to Masters swimming events, including open water. In my own experience as a competitive swimmer I relied on sheer will, determination, and a high threshold for pushing myself to succeed. I never focused on my form. After an accident and two frozen shoulders, I had to re-learn how to swim. The gift from this experience was a new perspective that showed me the value of “form before speed.” My weekly physical therapy sessions since 2010 have greatly enhanced my understanding of shoulders, breathing mechanics, core stability, and alignment. Now I am able to draw from personal experience both as a competitive swimmer and as a person in rehab. My experience as a coach comes from working for Boulder Aquatic Masters and the Masters swim program at the University of Colorado. In the late 80s I shifted over to instructing full time and gained experience working with Boulder Valley Summer League swimmers, year-round swimmers, high school swimmers, and both pro and age-group triathletes. This variety has allowed me to gain an in-depth understanding of the kind of development and skills required for each level. I use underwater and above-water video filming to analyze a person’s stroke. I also rely on my sense of what a person needs. Typically, my perspective is both global and specific. For youth and high school swimmers, I recommend weekly private lessons and/or the Competitive Youth Stroke Development Group. 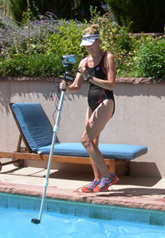 For age-group or pro triathletes, I recommend starting with a few private lessons. After this, age-group triathletes are welcome to join the Adult Stroke Development Group. In addition, I work one Saturday a month with members of the M3 Multisport, a Denver triathlon club.